Let us say that we want the user to input status from a desired list of following types: Paid, Unpaid, Partial Payment and NA. 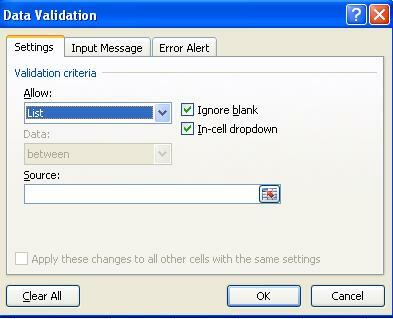 1) Create a list of required values in a column within excel: the below image shows this. 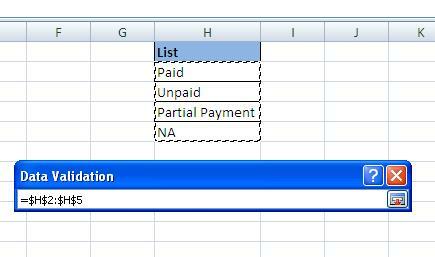 We have created the desired list of values in column H.
In above table we want the drop down list in D column named Status.